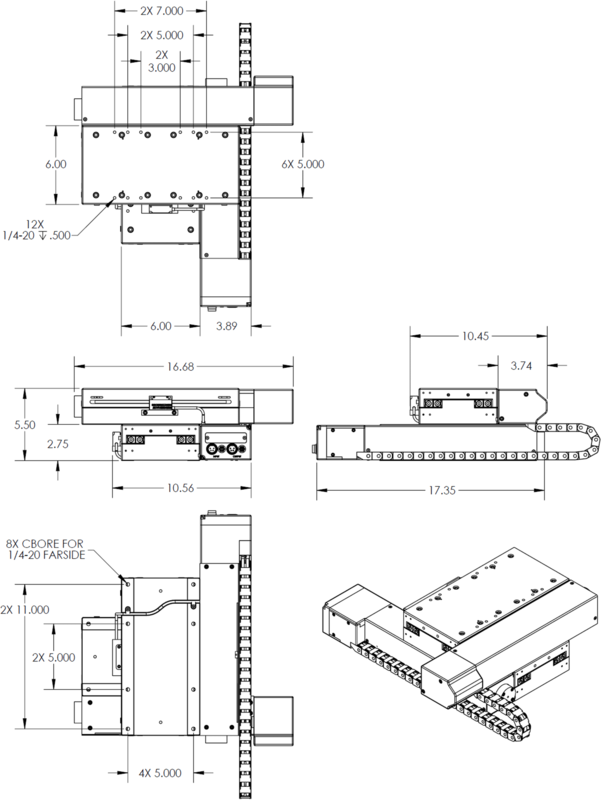 Precision XY OEM Stage | 200mm x 200mm | Reliant Systems, Inc. This 200mm x 200mm XY OEM stage is an example of an OEM assembly based on our CS crossed roller bearing stage series. In place of the standard anodized aluminium, a nickel coating is used to make the assembly safe for ESD sensitive microelectronic components. The two axes are aligned orthogonal to better than ±5 arc-sec (±25μrad). 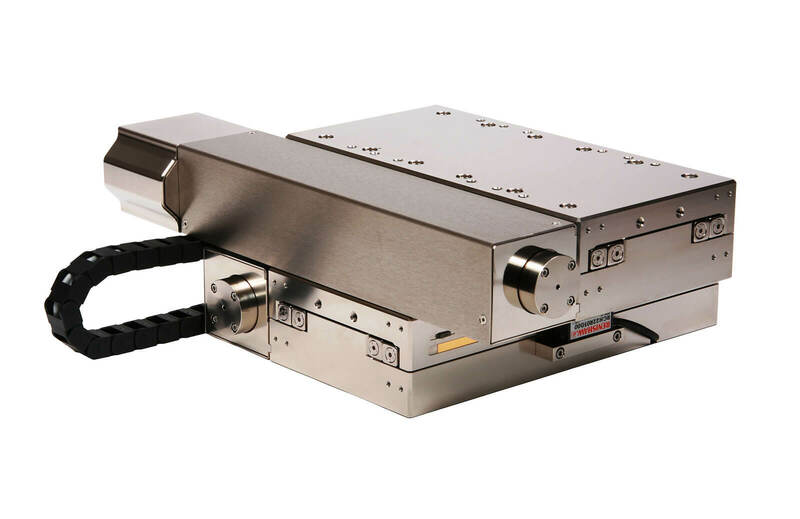 IMS MDrive step motors with integrated controllers simplify system integration, with only power and RS422/485 serial communication required for closed loop positioning to the 0.5μm resolution linear encoders. A power and serial communication output are provided on the connector panel to support an MDrive equipped Z axis stage. A similar stage assembly with standard 2 phase stepper motors without integrated controllers is also being produced.